The state had shown early improvements under Nitish Kumar but now it has entered a worrying phase. To understand modern Bihar, one could visit Shahpur. About 10 years ago, high arsenic levels were discovered in the groundwater of this village near Bhagalpur district. Despite arsenic being a known carcinogen, the matter received little attention. Remedial action did not follow till 2011 when a company from Gurgaon installed arsenic filters in the village on a government contract. It ran the filtration unit for four years but never came back to the village after the installation. A second company that took over the contract was in charge of the unit for another 18 months, but did not visit the village either. A third company is now running the unit. In all this time, the filters – which should be changed every eight months to nine months – have not been changed even once. Shahpur represents a larger story. Despite researchers flagging high arsenic levels in Bihar’s groundwater way back in 2002, the state is yet to reach a consensus with scientists regarding the scale of the problem. 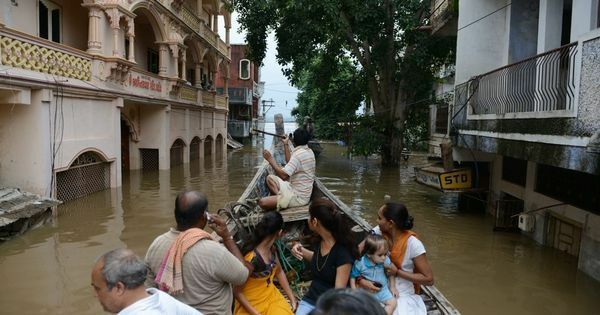 According to Bihar’s Public Health Engineering Department, which is tasked with supplying clean water to the people, the number of affected habitations is 1,590, the number of affected blocks 50, and the number of affected districts is 13. However, researchers studying arsenic contamination challenge these numbers. In Bhagalpur, for instance, data from the Health Engineering department says only four blocks have high arsenic levels, but studies by scientists at the local agriculture university found high levels in 13 of Bhagalpur’s 16 blocks. Studies have found high arsenic levels in 36 of Bihar’s 38 districts, as a previous story in this series reported. The high incidence of cancer in the state supports what the researchers say. Most of the patients at Mahavir Cancer Sansthan, a leading hospital in Patna, come from districts with very high arsenic content. The arsenic crisis is not the only problem area where the state’s response has been weak and underwhelming. Bihar has improved on law and order, roads and power, but as the previous stories in Scroll.in’s Ear To The Ground series have reported, its performance on matters crucial for the poor – preventing infectious diseases, implementing the Mahatma Gandhi National Rural Employment Guarantee Scheme that promises all rural households 100 days of employment in a year, pushing land redistribution, providing quality education – remains abysmal. This needs to be understood. Till 1990, Bihar made little progress on pro-poor policies because it was ruled by an upper caste elite. Since then, however, political alliances led by backward caste leaders have won elections by appealing to the state’s poor. In 1990, Lalu Prasad was swept to power by a great subaltern assertion of the Other Backward Classes. 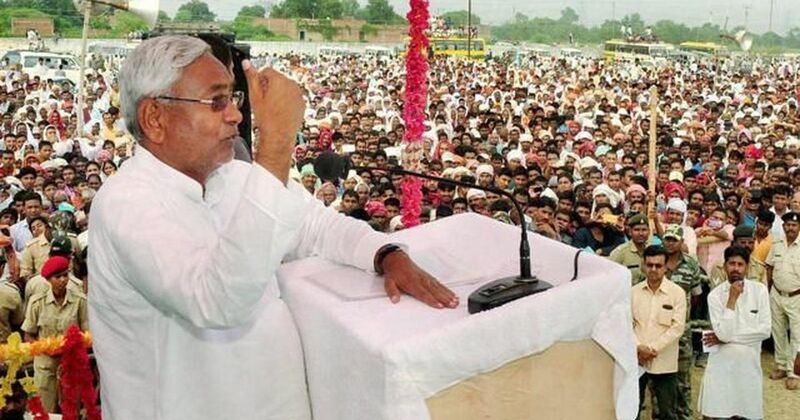 Fifteen years later, Nitish Kumar replaced him by stitching together a coalition of Extremely Backward Classes and upper castes with the Bharatiya Janata Party. In 2015, Other Backward Classes and Extremely Backward Classes came together under the mahagathbandhan (grand alliance) of Lalu Prasad’s Rashtriya Janata Dal, Nitish Kumar’s Janata Dal (United) and the Congress to keep the BJP out. Why does the state’s response on matters crucial for the poor remain inadequate even after 25 years of rule by political parties led by backward caste leaders voted in by them? Caste remains a key ingredient of electoral battles in Bihar. In 2015, the grand alliance of the Rashtriya Janata Dal, Janata Dal (United) and Congress brought the Other Backward Classes and Extremely Backward Classes together to keep the BJP out. In September, when Scroll.in’s Ear To The Ground project reached Bihar, this quickly emerged as one of the key questions facing the state. Travelling through Bihar, multiple factors seemed to be at work, as reported in this story. To summarise briefly, the structure of the state economy is one. Unlike states like Punjab and Tamil Nadu, Bihar has a very small industrial sector. This means limited scope for political parties to extract the rents they need to fund their political expenditure from businesses, unlike in states like Punjab. The result? A large chunk of political rents in Bihar seem to be extracted from government projects and programmes. This is one reason for the underwhelming performance of programmes such as the rural employment guarantee scheme in the state. Under Nitish Kumar, there has been some improvement – but not enough. During the Yadav years, said a political observer in the state who did not want to be identified, the contractors of large projects would take public funds but not build anything. Under Kumar, he said, “some work gets done and some money gets siphoned off”. Another factor limiting Kumar’s ability to implement change is the rising fluidity of caste alliances. As Sanjay Paswan, a senior BJP leader in Bihar, said, communities are using caste in an increasingly instrumental fashion. “It is being used in service of an aspiration,” he said. “Upar uthne ke liye kaam aayega (it will be useful for climbing up).” This shows, he added, in Bihar’s electoral tussles. Before the 1990s, the contest was between the upper castes – Brahmins versus Bhumihars. Between 1990 and 2005, it was a tussle between the backward castes and the upper castes. In 2005-’15, the state saw the upper castes and Extremely Backward Castes allying against the Other Backward Classes. In 2015, the backward castes had joined hands against the upper castes. A fourth reason is administrative incapacity. Bihar inherited weak administrative systems from the British, which did not improve significantly after Independence. During the Lalu Prasad Yadav regime, what existed grew weaker because of the clash between the backward caste political leadership and the upper caste-dominated bureaucracy. This has had large implications for Chief Minister Nitish Kumar’s plans to revive Bihar. Unlike Lalu Prasad, who used the electoral process to undermine elite dominance in the state, Kumar favours a centralised, state-driven model of development where mass politics does not have much of a role. An approach that will struggle since the instrument he wants to use, the state administration, is not functioning. An instance here is Bihar’s health department. As this story reported, a complex set of factors – such as climate change, religious polarisation and migration – has tilted Bihar’s disease burden towards infectious outbreaks like dengue. The state lacks the capacity to fight these, as a follow-up story reported. Another instance is the state’s work on education. Low administrative capacity also circumscribes what the state can deliver. It can give cycles to girl students but cannot set up enough high schools or ensure good teaching. The state government gave cycles to girl students, but has failed to ensure quality education. Since March 2015, Scroll.in’s Ear To The Ground series has reported from Mizoram, Odisha, Punjab, Tamil Nadu and Bihar. We are now in Gujarat. These states were selected to cover variety of conditions: one was in North East, others are mineral-rich, irrigated agriculture, rain-fed agriculture, and relatively industrialised. The idea was to identify the major changes – economic, social, cultural, political, environmental among others – that these states have seen in recent years. We hoped to use those changes to identify deeper processes shaping these states. We also aimed to use that understanding to reach larger conclusions about the major processes shaping India. As the project progressed, each of these states revealed different democratic drifts. For instance, Mizoram is financially unviable. As much as 90% of its funds come from the Central government. This creates a need to be on good terms with the Centre. Odisha is dominated by a handful of families who are active in politics, media, education and industry. Punjab, when Scroll.in was reporting from there, was entirely in the grip of the Badal clan, whose Shiromani Akali Dal ruled the state for two consecutive terms before losing to the Congress in the Assembly elections in March this year. As for Tamil Nadu, it had moved from welfarism towards messianic populism. Bihar adds to that list of suboptimality. To a large extent, it remains an absent state. In education, for instance, as this story reported, the market has stepped into the void left by the state. Strongmen have captured the resources that the state should have distributed justly among people. Elsewhere, non-governmental organisations and others are trying to do what the state should have done. Each of these is a poor replacement. Strongmen, among other things, deliver majoritarian rule. The non-governmental organisations are limited by funds and geographical reach. And market solutions favour only those who can pay. Nitish Kumar’s greater test, however, lies in the sharp rise in communal tension in Bihar over the last three years, as reported in this story. Arshad Ajmal, an activist working on communal harmony, told Scroll.in that patterns of communal violence are changing in Bihar. The number of riots that claim lives has come down, but there is a jump in the frequency of local-level communal incidents. Even minor disputes now rapidly acquire Hindu-Muslim overtones. This is to a great extent because of Hindutva mobilisation. Religious processions – for festivals like Ram Navmi – now involve a large number of young men with saffron headbands waving swords and shouting “Jai Shri Ram” to the beat of techno. The chants you hear in these processions, as Scroll.in reported, are not what one would expect at a religious event: “Doodh maango kheer dengey. Kashmir maango cheer dengey.” (Ask for milk and we will give you kheer, but ask for Kashmir and we will cut you down). Talk to Muslims in the state, in villages like Wajidpur near Chhapra, and they ask for help, describing how they are threatened by members of Bajrang Dal, the hardline Hindutva group. Seeking political power in the state, Hindutva organisations are trying to replace horizontal schisms (on the basis of caste) with a vertical one (on religion lines). This is being done by using a clutch of affiliated institutions to mobilise new cadre, create a network of contacts that extends from Patna to Bihar’s villages, and realign votebank loyalties across the state. What is telling is that even as Muslims feel increasingly frightened and helpless, the state government appears to have done little to crack down on these organisations. It’s another instance of an absent state.